Many aquarium enthusiasts specifically avoid adding plant life into their tanks because of the increased maintenance and chemical balancing. However, adding plants to your aquarium doesn’t have to be difficult, time-consuming or expensive! Finding the best substrate for planted aquariums is the first step to having a beautiful, living habitat in your aquarium. Build a happy home for your tank’s aquatic life with one of these top substrate picks. Substrate is the bottom layer of material that sits between the glass bottom of your tank, and all the fish in it. But, while substrate seems to be a visual necessity it plays a vital role in the health of your entire tank. The substrate in your tank adds beneficial bacteria to your tank’s water. As your fish swim or dig like Cichlids, they stir up this bacteria and it gets worked throughout the tank. Plant life can be dependent on these bacteria. Soil – actually soil like, and not real soil, but this is not the most popular option. It resembles soil in both color and texture. These aren’t the only choices. You may have also seen clay, peat, or even marbles which are great for breeding tanks. The substrate you choose will deliver a number of benefits for your tank. Choosing the right one for your potted tank is as easy as understanding what your plants and fish need. What do your plants need? Many need additional iron. This is deliverable through a proper substrate but many planted aquarium owners also use fluorite or root caps to help dose up the iron in their tank. So why can’t your substrate help retain all the nutrients your plants need while delivering the biological component your fish need? It can! But that’s not quite enough, is it? You want some bang for your buck too. The expensive nature of some plants drives aquarium enthusiasts away from planted aquariums. However, you can find a great substrate for your entire tank that is also reasonably priced. Take into account what type of plants and fish you have. Start with identifying whether your plants are root feeders or water column feeders. These plants only absorb nutrients through their roots. Most often people see recommendations for fluorite additions or root caps. Rooted plants are among the most common in aquariums. They are great for beginners who haven’t yet experimented with anchoring free growing, or unanchored, plant life. Water column feeders absorb nutrients from the water all around them. This means usually that they get more nutrients than the root feeders because the water is constantly being turned and worked over by your fish. They also get the same beneficial bacteria that your fish are receiving. Water column feeders typically aren’t rooted plants. They’re usually plants that float on the surface, climb the background wall, or cling to decorations. As mentioned above, the most popular options are sand, gravel, and soil. The differences between them can help you choose which substrate is best for you and your tank. Course sand is best for planted tanks that also have fish. Aim for a grade larger than #3 as this will help prevent digging fish from kicking up too much sand and control the hydrogen sulfide increase. If you choose sand and want a smaller coarseness, try adding iron supplements such as fluorite that will help your tank process the nitrogen cycle changes. The additional iron will help control any additional hydrogen sulfide. Gravel is usually used with another substrate because although it’s a top choice, it leaves a lot of space for non-beneficial bacteria. Waste can be easily trapped in gravel and settle. If you have any of these fish in your tank, focus on smoother or larger gravel to avoid them trying to eat or burrow into something that will injure them. Complete substrates are designed for plants. This usually makes them a top pick for planted aquariums. They can kick start your nitrogen cycle! But, watch out for complete substrates as they often disrupt the entire tank ecosystem. Don’t use a complete substrate in a stable environment. Multi-Substrate strives to create the same effect of a complete substrate but through using a combination of substrates. To mimic a natural environment, you can layer a base of sand, then layer soil on top and complete it with gravel. Here are the top 5 picks for substrates for your planted aquarium. There is a large variety to ensure there is something that is right for you and your aquarium! This complete substrate is on our list for a number of reasons. First and foremost, it does deliver everything your rooted plants need. 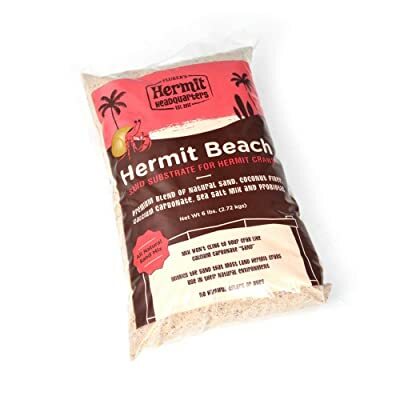 It is packed with minerals and designed to biologically be beneficial without promoting algae growth. The Carib Sea Eco Complete Aquarium Substrate stands out from the rest of the substrate crowd because of its diffusion abilities it shouldn’t have the harsh effect on your tank that other complete substrates do. It boasts no artificial dyes or chemical and is designed with a natural biological balance in mind. If you are jet set on using a complete substrate, the Carib Sea Eco Complete Aquarium Substrate is a top contender. 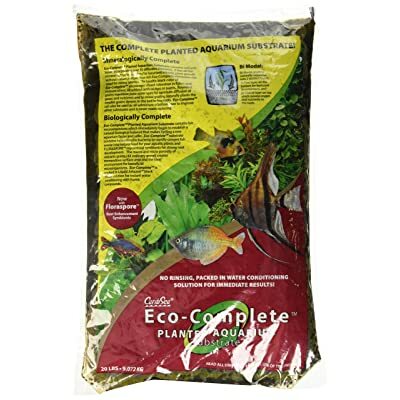 It is great for rooted plants, but should still be used in new aquariums. Although it has some great diffusing technology, the best bet for your fish and the safety of your habitat is to establish a biological balance first. Although we all know that plants like soil best, this really is one of the top options for rooted plants in an aquarium. It’s a long-lasting fertilizer for your tank and is porous which means that it absorbs and distributes beneficial bacteria well. The soil is a natural way to lower your pH and promotes healthy bacteria growth. The great benefit that makes Mr. Aqua standout from the others is that it does all this and still promotes root development. You may see with other soil options that they promote a balance but don’t do anything for your root system. This is a great soil, and if you’re looking to layer multiple substrates this soil is one to consider for your base level. If you have a lot of rooted plants, a beneficial root growth boost is worth considering. Overall Mr. Aqua is a good value for what you’re getting, and it’s long lasting! Designed for healthy plant and root growth it does a lot more than your standard soil. ADA stands out with its focus on clearing water. It works with your plants to instill a cycle that will result in long-term clear water. 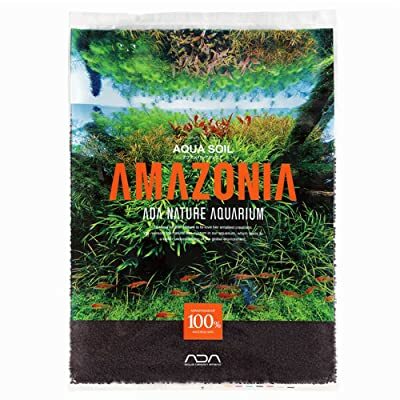 If you’re struggling with a cloudy tank the ADA Aqua Soil Amazonia is definitely one to consider. This is another to consider if you’re looking to establish multiple substrate systems. 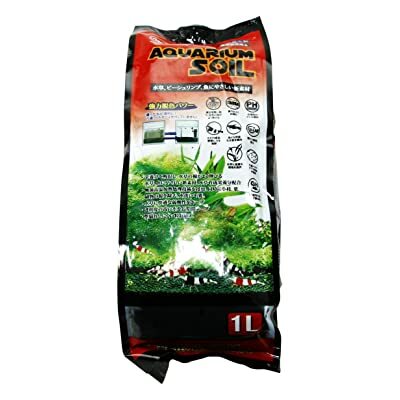 By using a soil such as the ADA Aqua Soil, you can utilize the benefits for a lower pH and healthy root growth. For the price, you might consider a different soil choice, but it this is in your budget, it’s worth it. A substrate designed for crabs may seem out of place here, but don’t be fooled just yet! A sand substrate makes a great mid-layer for a multi-substrate system. The calcium addition is a great choice for some fish and can work to balance your tank. This is the only real benefit to be found in this sand substrate. Overall, this can be a layer for a multi-substrate mixture but not recommended for its own use. Because of the additional particles in the sand such as the coconut shells you’ll have particles that float in your water. This is another soil option for plants that highlights another aquarium friend, shrimp! This soil is developed with the entire environment of your tank in mind. 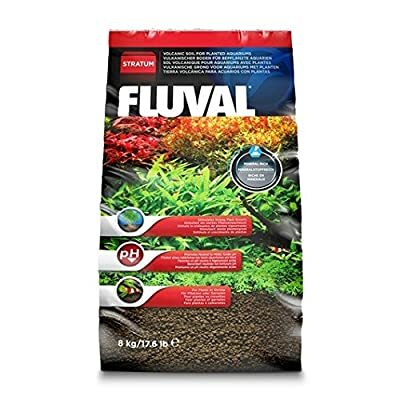 Fluval is a long trusted brand among aquarium enthusiasts and they continue to deliver top-quality products with great customer service to back them up. What makes this soil different is its texture. Even when at the bottom of a full tank, it retains its soft, non-compact, and porous nature. This texture means that the root systems will have an easy time getting to the nutrients in all of that volcanic soil. It promotes root system development and enables beneficial bacteria to grow. Fluval is almost always a great choice. Of their many products, the plant and shrimp stratum is a well-developed volcanic soil that delivers nutrients your plants and tank need. The clear winner of the best substrate in planted aquariums is the Fluval Plant and Shrimp Stratum. The minerals in the organic soil are all beneficial and promote a healthy full aquarium environment. On top of it, it’s affordable! This option works on almost any budget. This means that whether you’re only working with rooted plants, or with water column feeders, you have a healthy tank. If a soil is something you’re considering, even as part of a multiple substrate setup Fluval is a choice that can deliver quality. Of the products we’ve brought together here, you are sure to find the best substrate in planted aquariums for you that are also in your budget.